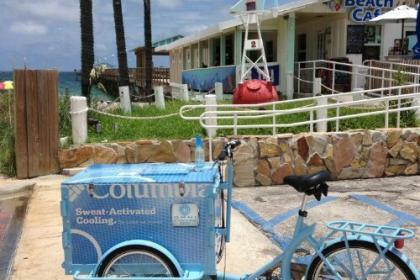 Icicle Tricycles builds water bikes and sports bikes! Excellent for quenching the thirst of athletes and sports fans! 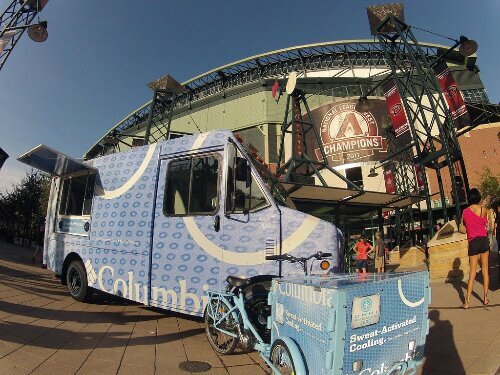 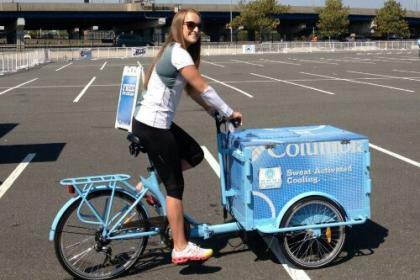 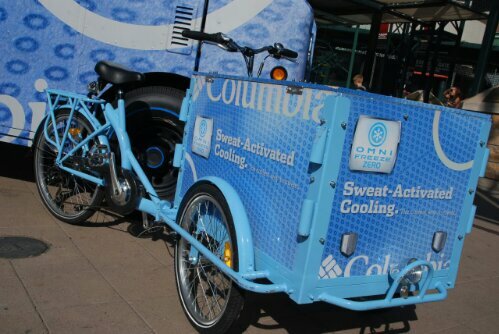 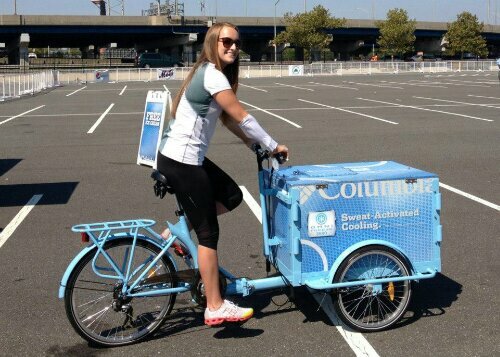 Whether you decide to roll out to a sporting event, fair, farmers market, parade, convention center, or anywhere thirsty people might be, the Icicle Tricycles Sports Bike is a fantastic way to hydrate a stadium, neighborhood, or even an entire city! 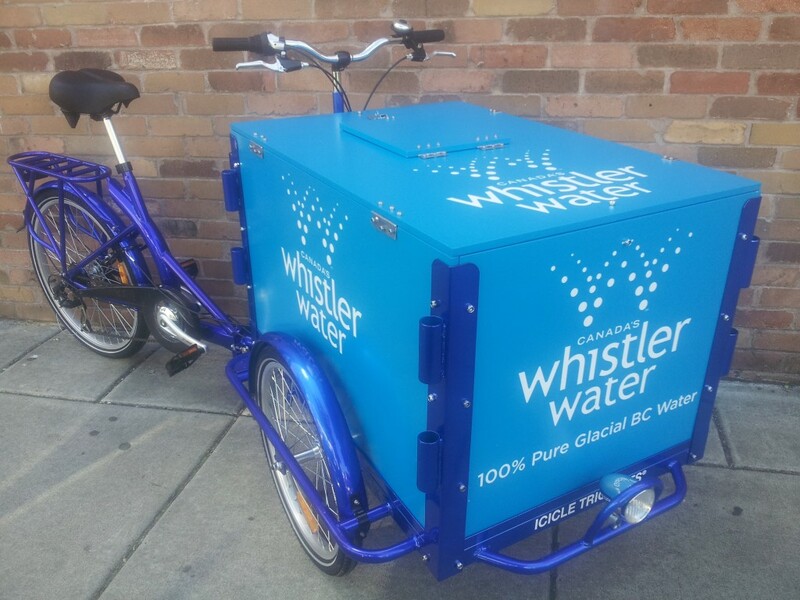 Whether you’re looking to operate a small scale water service or to promote an existing line of water and sports products, an Icicle Tricycles Sports and Water Bike is a perfect solution. 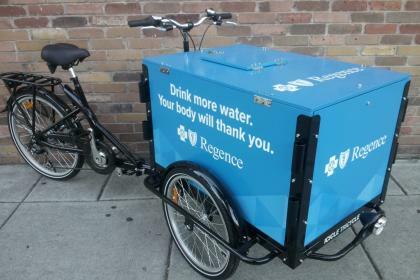 Have your own mobile water location! 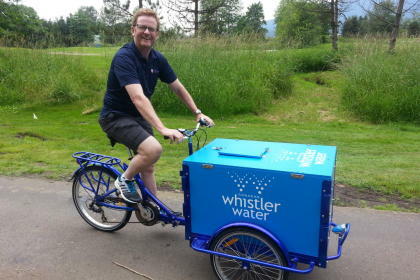 A superb way to market a healthy lifestyle, our Sports and Water Bike is economical and promotes an environmentally sustainable form of business. Icicle Tricycles can add custom graphics to your Sports or Water Bike for branding. 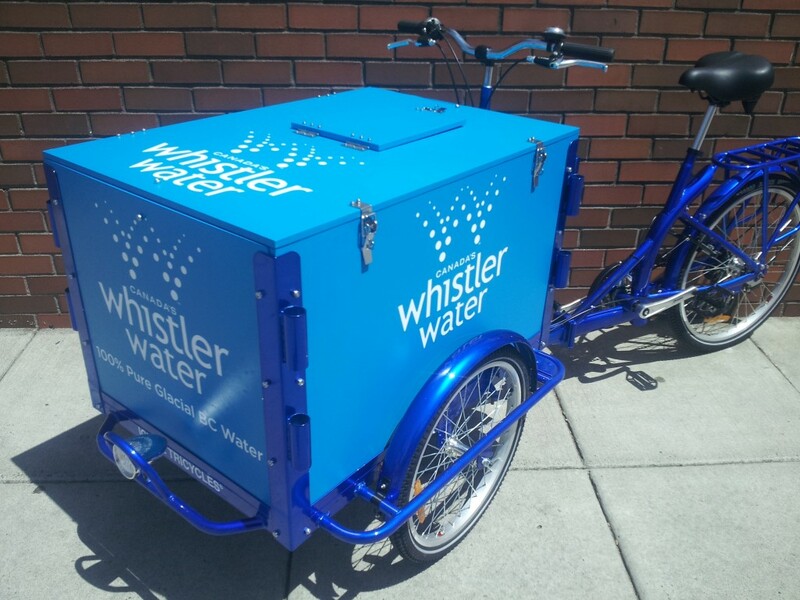 We work with both small and large companies, distributors, and anyone looking to build custom sports and water bikes. 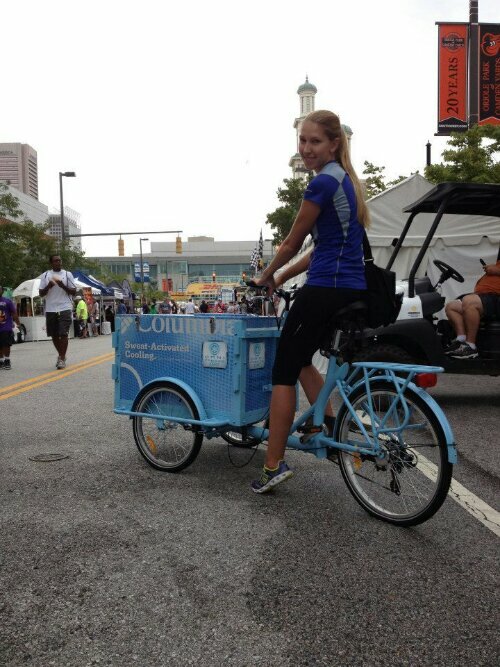 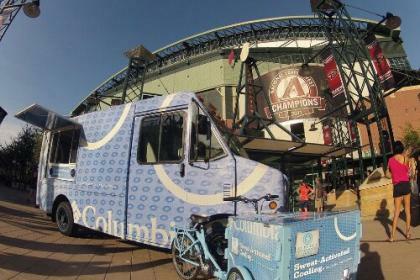 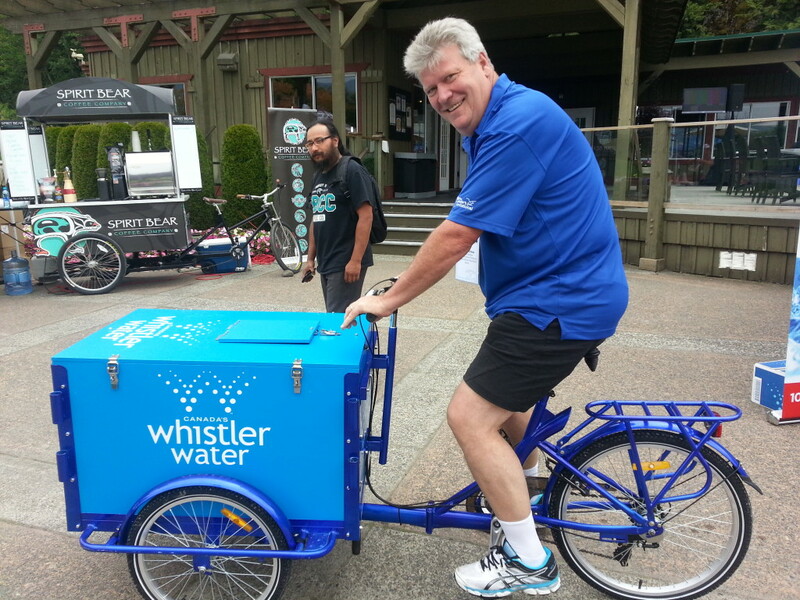 Each Icicle Tricycle Water and Sports Bike is custom built for serving up water and other sports related products. 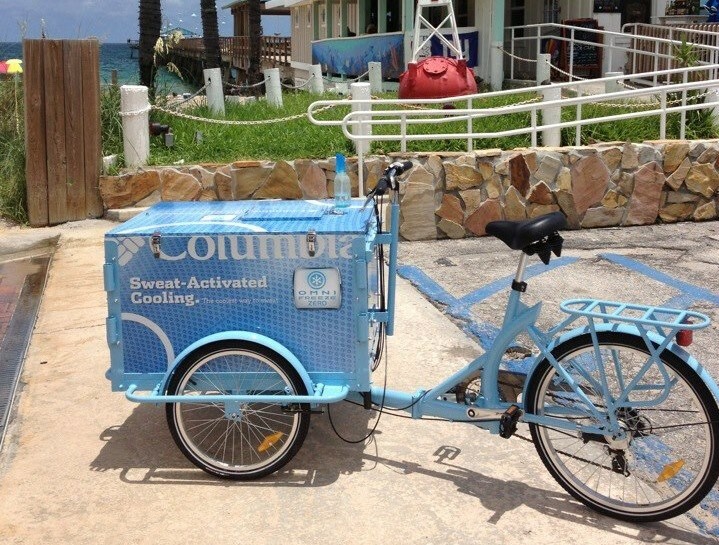 Combine eco-friendly, customized variety, and mobility together for a knockout Sports and Water Bike. 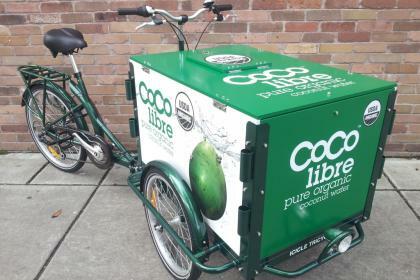 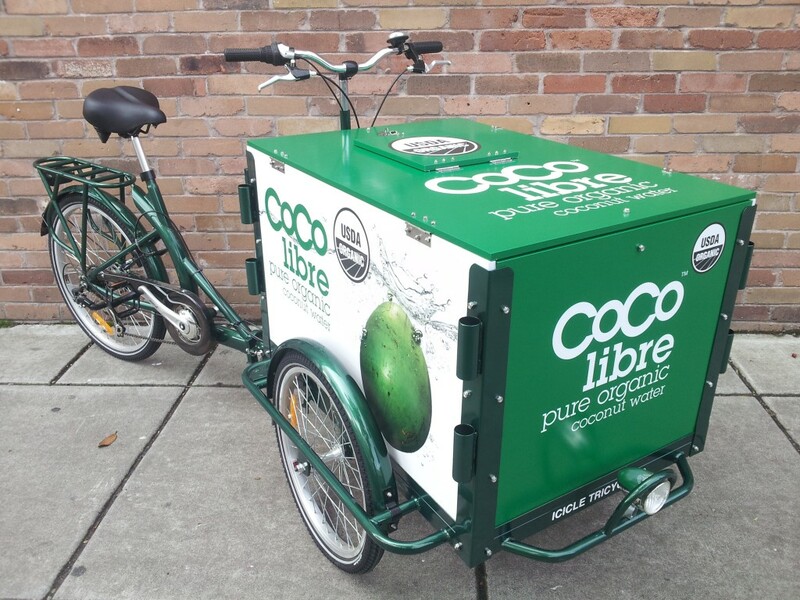 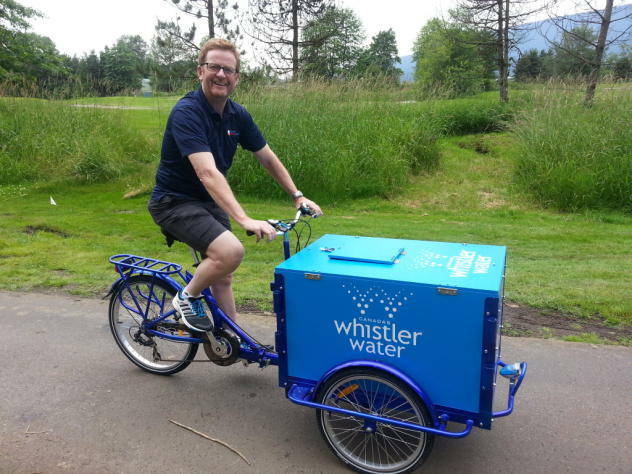 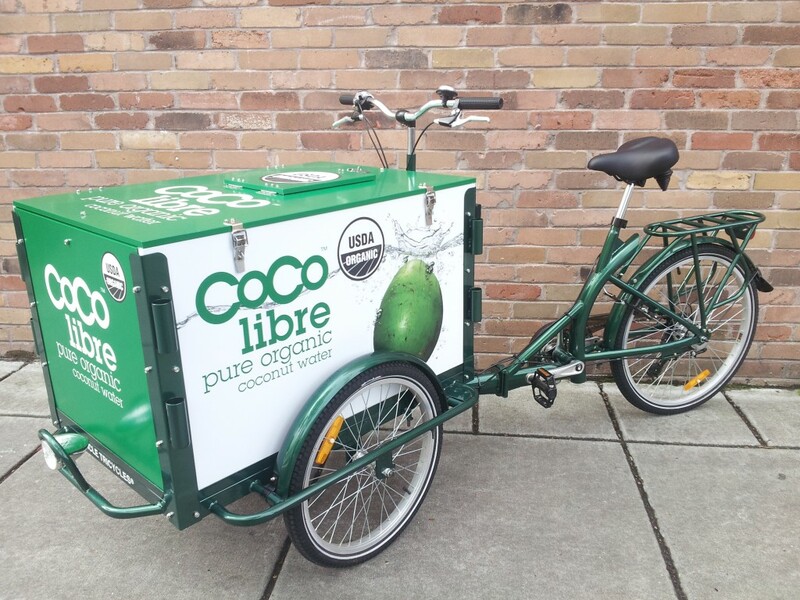 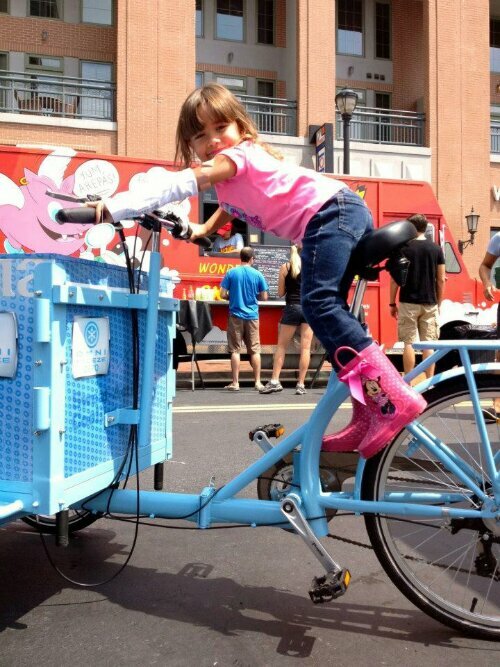 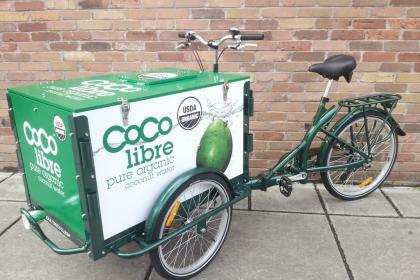 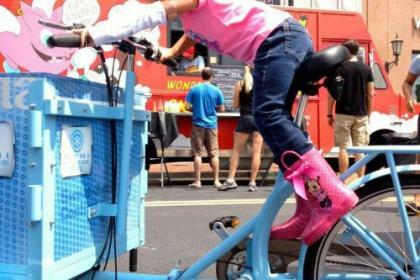 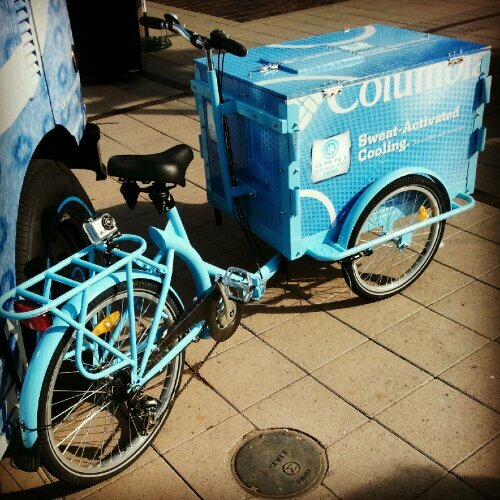 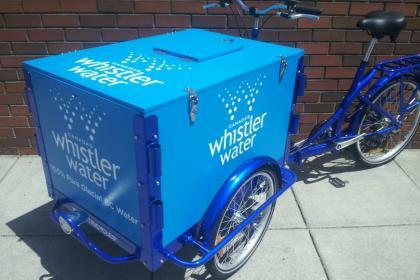 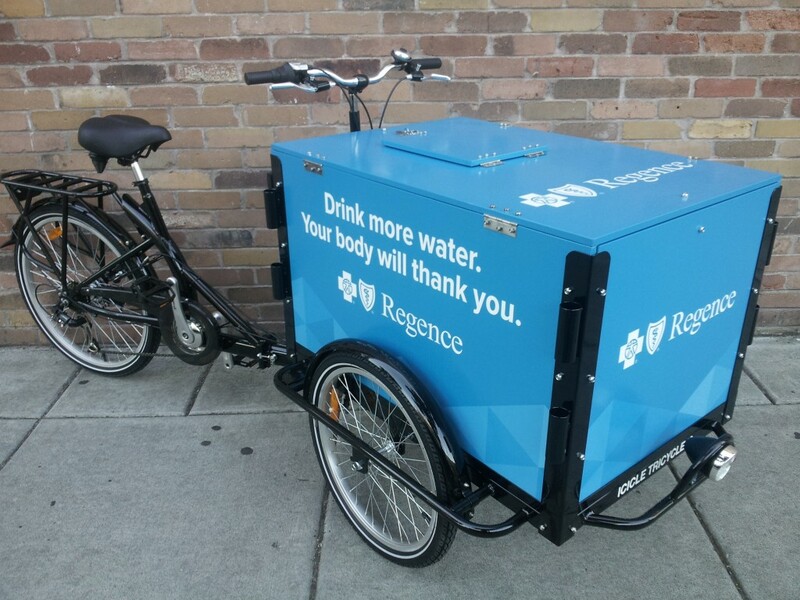 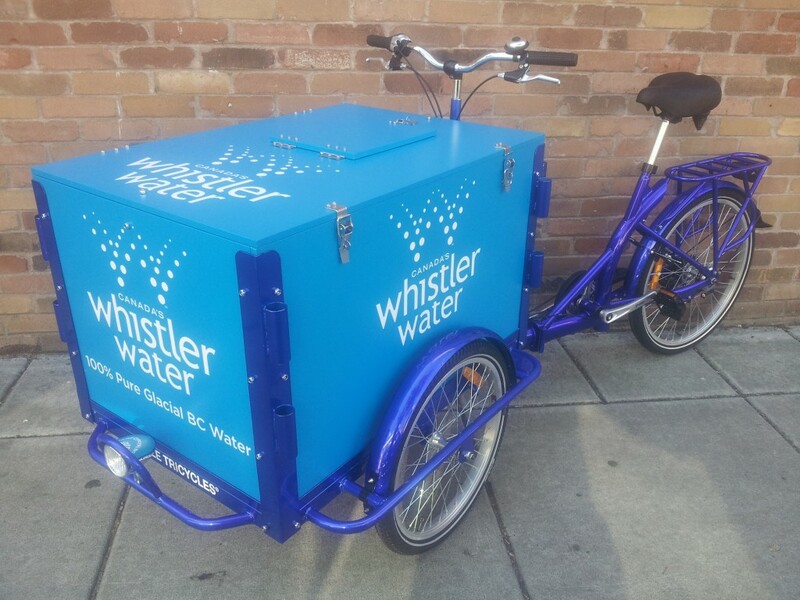 An Icicle Tricycles Cargo Bike is a great way stay hydrated Get your water on! 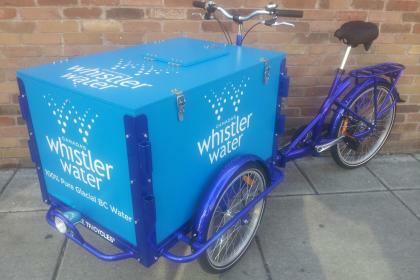 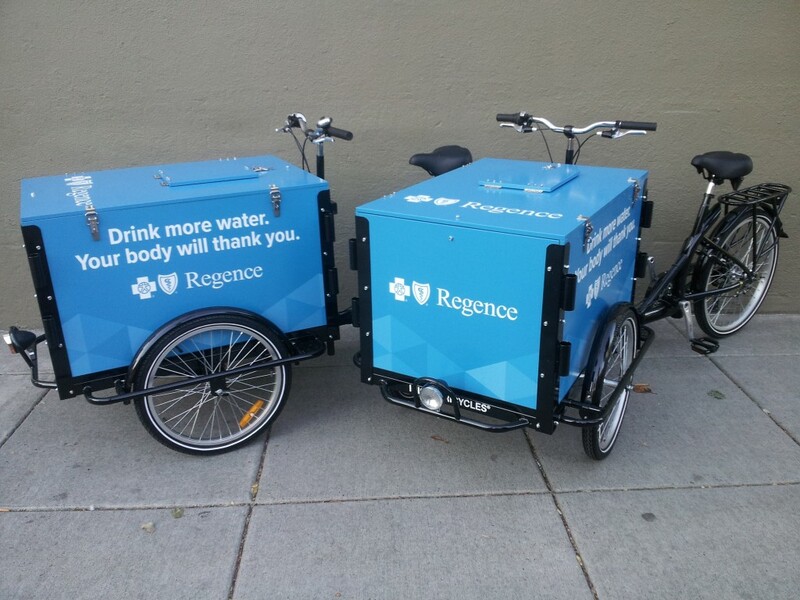 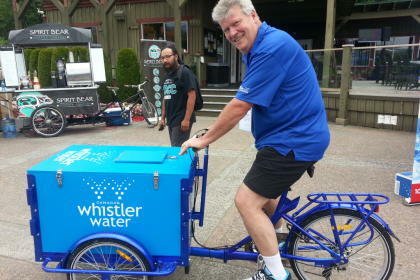 We would love to help get your business moving with an Icicle Tricycles Sports and Water Bike. 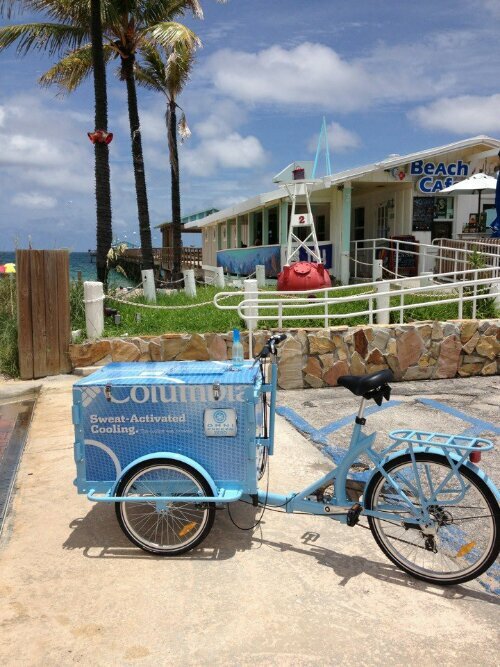 Contact us when you’re ready to roll. 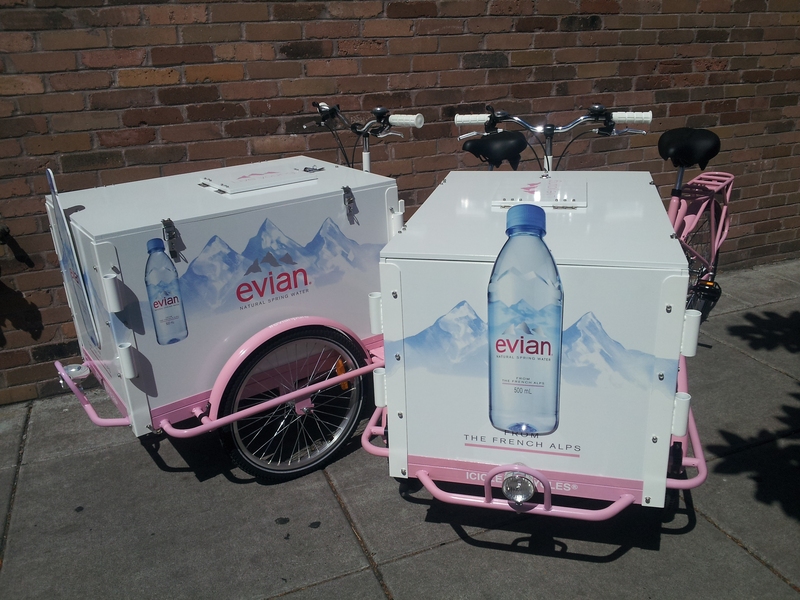 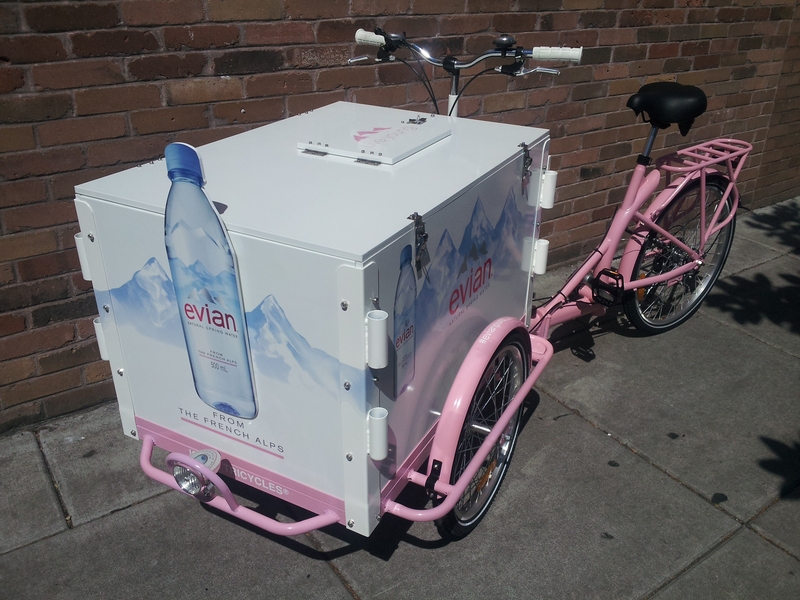 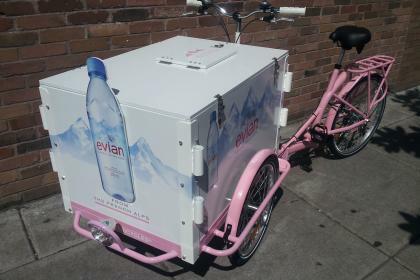 Icicle Tricycles Experiential Marketing Bike – Evian. 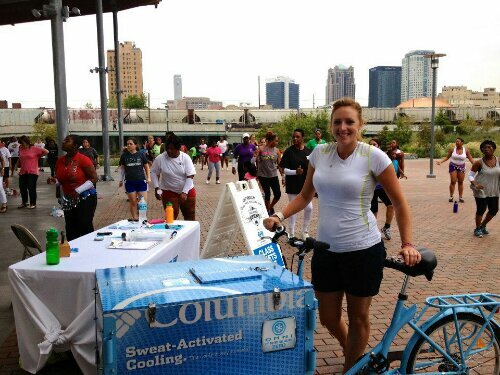 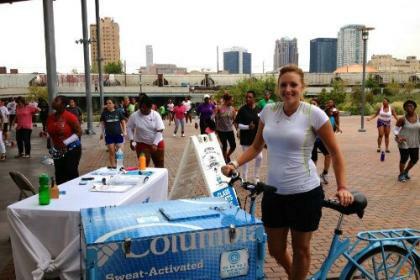 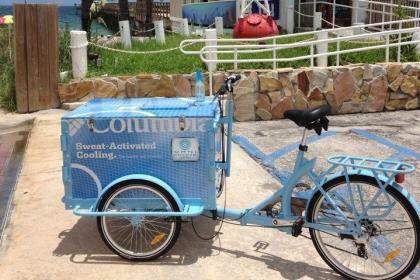 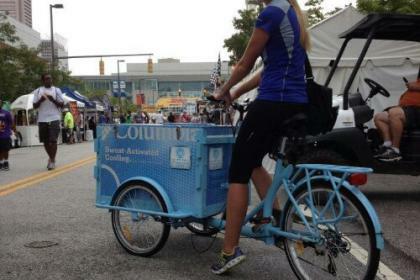 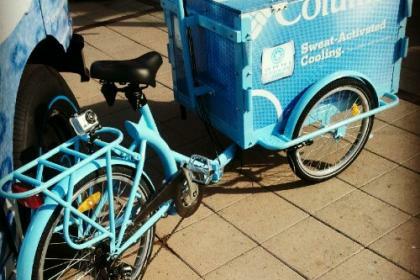 Icicle Tricycles Experiential Marketing Bike – Florida.